Hajdučka vrata arch is one of the most beautiful symbols of Blidinje Nature Park. It is a natural phenomenon located in the eastern part of Čvrsnica mountain, which has been sculpted for centuries. 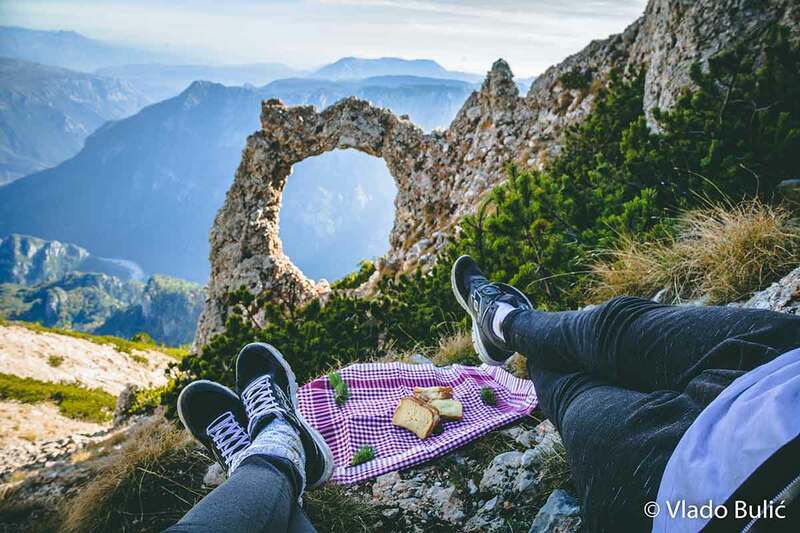 The arch is actually a typical ring-shaped rock located above Diva Grabovica canyon. 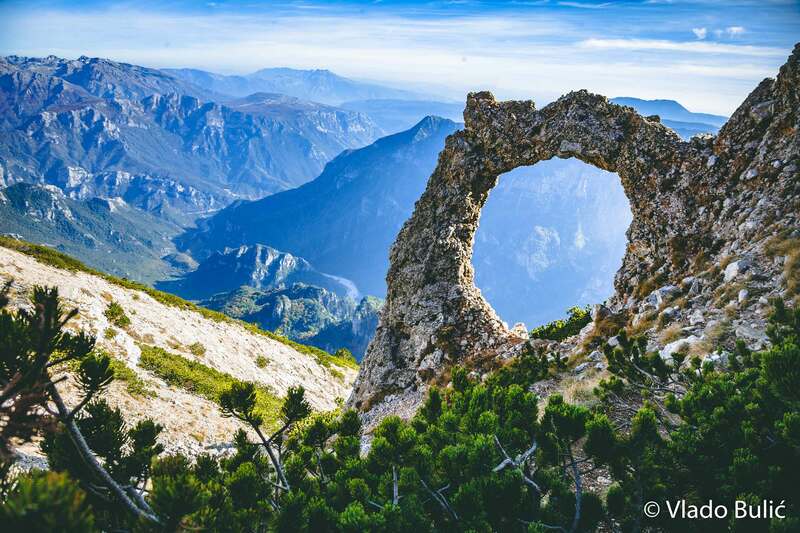 Hajdučka vrata arch lies at 2000 metres above sea level and is visited by numerous hikers and nature fans, who can enjoy a truly beautiful, unique and invaluable view at Diva Grabovica, Veliki kuk rock, Čabulja, Velež, Prenj, etc. from here. This geomorphological nature monument is one of the most beautiful vantage points in the mountains of Bosnia and Herzegovina.